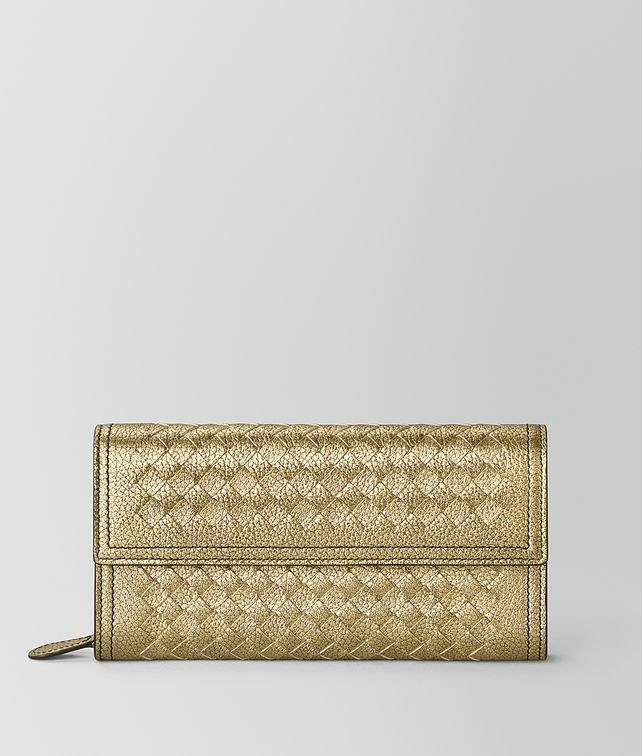 This elegant continental wallet is crafted from calf leather that has been carefully treated to create a metallic hue and grainy texture. It is made with a new construction that gives our iconic intrecciato weave a framed effect. The design is then outlined by black double seams and hand-painted edges. Fitted with eight card slots, a note slot and a zipped compartment for coins.